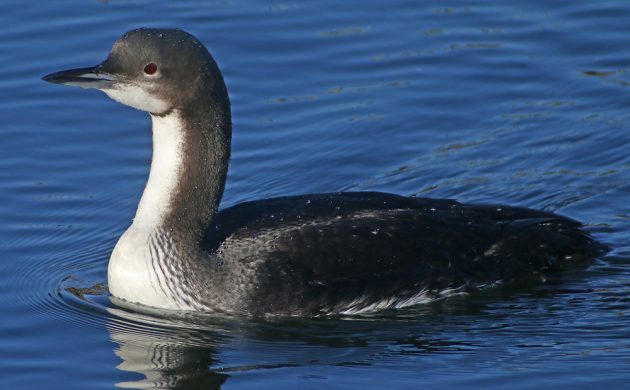 When a Pacific Loon was found last weekend in Nassau County, by the marina in Oyster Bay, I was indifferent. After all, I saw one in New York State a little over six years ago, and I have seen them several times when in western states. But then photos starting showing up on social media and local photographers’ sites and I got jealous. Fortunately, I had yesterday clear to bird as I wanted so I decided to start my day at Oyster Bay, half-an-hour from my house, and see if I could get similarly lucky. I was the first birder on the scene and was greeted by a horde of ducks. Greater Scaup in numbers, Long-tailed Ducks in even greater numbers, Bufflehead, Red-breasted Mergansers, and a single Common Goldeneye. I would have been concerned about having to search through all of those ducks but the loon I was looking for was known to stick relatively close to shore. Another birder joined me and we kept scanning the areas around the varied docks and boat slips until I finally picked the bird up over in the yacht club where it promptly dove. 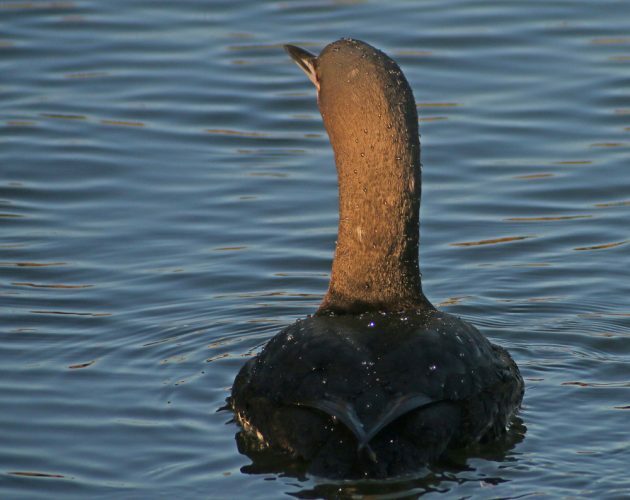 Fortunately, it came back up and my fellow birder got to see it but the looks were against the light and distant so we decided to see if we could talk our way into the yacht club and onto their docks. 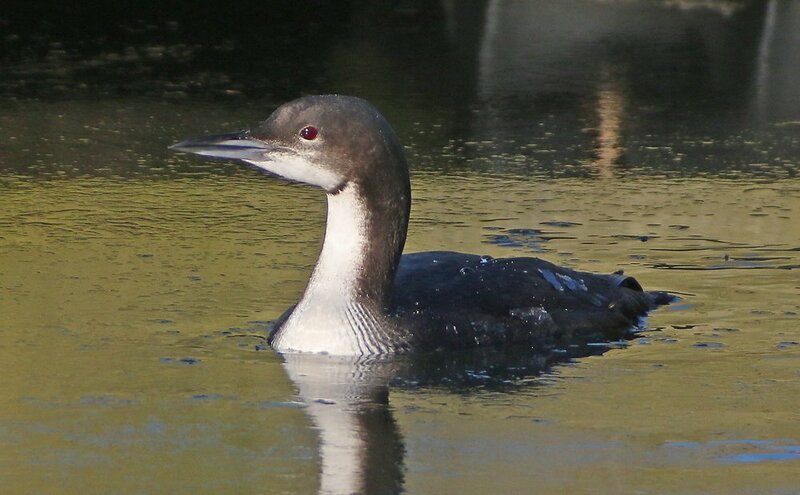 A kind worker let us on the docks and we searched for the loon there with no luck. It had disappeared while we walked over. So we went back to our original vantage point as more birders arrived to no loon in sight. We kept searching with the cacophony of calling Long-tailed Ducks and the nasal calls of Fish Crows providing a nice soundtrack. 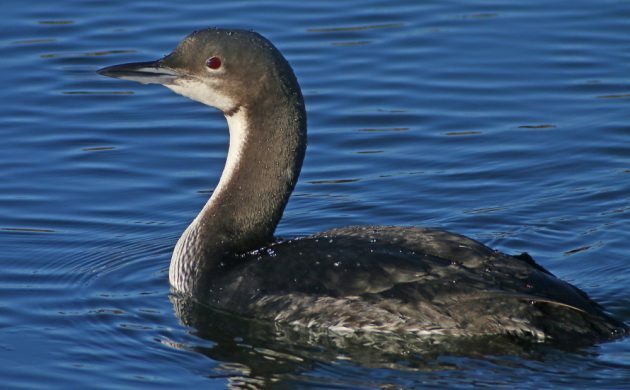 Eventually, a couple of birders decided to head to the east by car to check and see if the loon was visible over there. I asked to exchange numbers in case either of us found the loon and they were glad I did because not five minutes after they left the loon popped up in the yacht club again. Still distant though a bit closer and we all appreciated seeing it but we wanted worthwhile photos. The bird must have heard our imprecations at its stand-off attitude because it left the marina and swam directly past us nice and slow into the marina we were standing next to. The light was perfect and its approach was close. We all really appreciated the views! I had never had views of a Pacific Loon like this before, even on the West Coast. 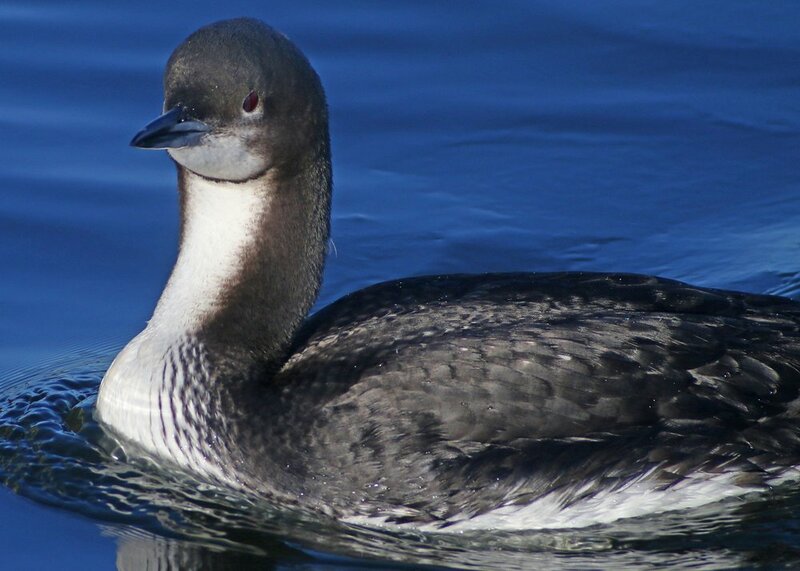 The chin strap, a hallmark of Pacific Loons, was really obvious. 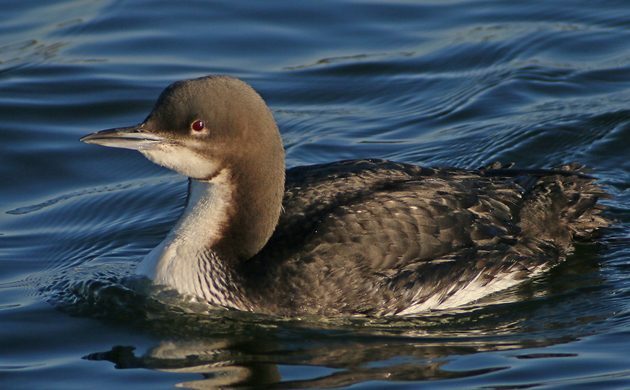 It was surprising how far the loon could get underwater on a single dive. It kept us photographers on our toes! It was hard to believe just how good the looks were. But, eventually, I had to say goodbye. There were other birds to see! Have you given it directions to Heidelberg?